The Leopard 32 is a roomy, 10m sailing yacht. Designed as a family sailer for days out and longer holiday sailing its robust construction from steel make it a safe and solid boat for inshore and distance sailing. The current interior accommodation configuration is set as a 4 berth with two forward cabin bunks one in the main saloon. Starboard of the main entrance is the 4th bunk which runs under the cockpit seats. Heads and washroom are forward of the main cabin with the galley area on the port side of the cabin entrance. ​As with the Corsair 37 the Peter Nicholls Leopard 32 is a roomy, steel chined sailing cruiser. She comes with a choice of gaff rig or bermudan rig. The chined hull can long keel or can be shallow draft with asymmetrical bilge keels or lifting keel. 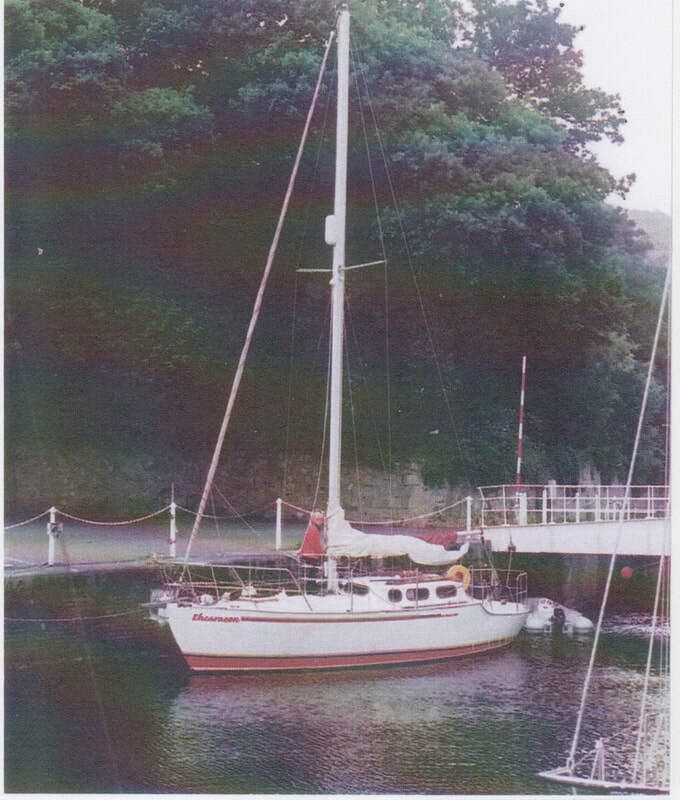 Suitable for single handed sailing, she has the strength of steel to venture also inland to cruise in Europe, Britain and Ireland with raised keel or bilge keels and self lowered mast. The Leopard 32 10m can be reconfigured to your needs and provide an excellent family boat. The Leopard 32 is a go anywhere sea boat with RCD “A” categorisation. Strongly built using the best grade of steel, she is protected by a state of the art paint plan reducing hull maintenance.